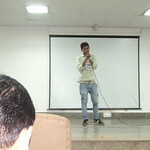 “The Viral Voice” – A singing competition was organized on 22 October 2016 at Radha Govind Group of Institutions, Meerut. 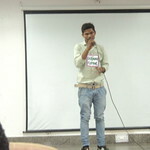 It was a melodious journey to unleash the hidden talents of our youngsters and bring the best out of them. 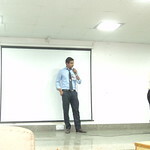 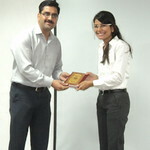 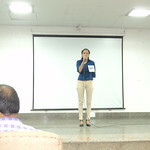 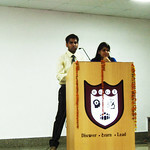 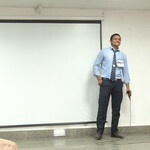 The event was voiced by Manu and Vaishali from MBA. 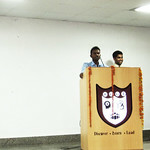 It started with the welcome of Respected Mr. Ekram Hussain(MD RGGI), Mr P.K. 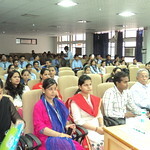 Singh(Director RGGI),Faculty members and students. 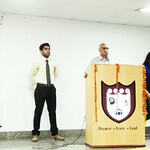 MD Sir addressed the students with his inspiring words regarding importance of such events and how to take benefit from them. 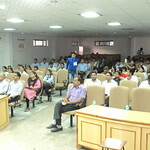 The competition was open to all i.e MBA, BTECH and MCA students. 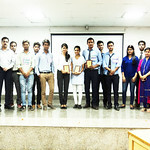 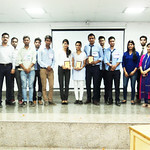 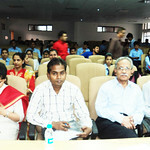 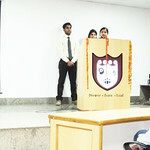 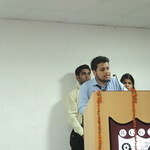 The Jury consisted of Mr. Sandeep Sharma (Examination controller), Mr. Jay Kumar (HOD CSE) and Ms. Dimple Kapoor (Asst. 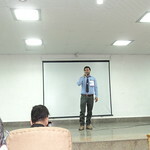 prof. CS). 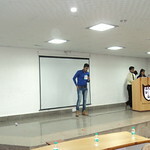 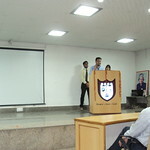 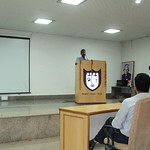 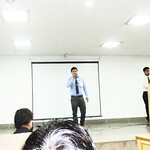 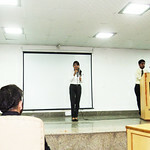 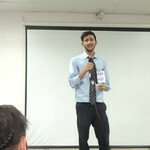 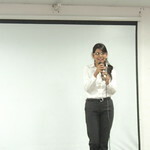 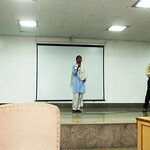 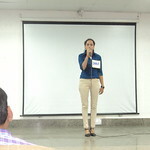 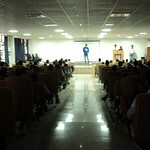 The students were supposed to impress the jury with their singing skills, song selection and interaction with audience. 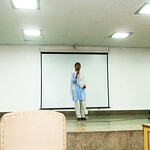 Some of the memorable performances were: Mohd. 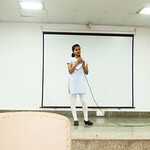 Rafi (ME 3rd year) sang a famous song ‘Mujhe ishq hai tujhi se’ and left the audience mesmerized, Shivee Gautam(CS 4th year) sang bhajan ‘Chaderiya jhini ‘, Tulika Sharma (CS 3rd year) sang ‘O re chiraya’, Vaishali (EC 3rd year) presented a beautiful song praising daughters and made the gathering emotional. 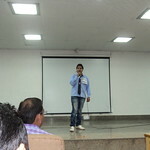 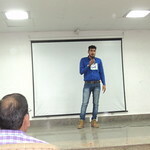 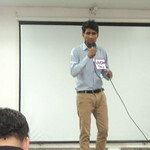 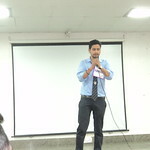 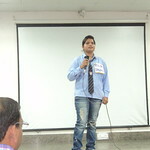 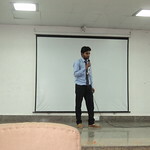 Ankit(MBA) sang very famous ‘papa kehte hain bada naam karega’ and made audience shout for once more. 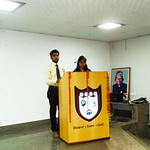 Mubin Khan, Pooja Singhal from Btech 1st year gave the tough competitions to seniors with their remarkable singing skills. 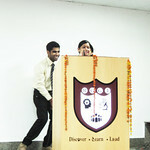 Kawaljeet (CE 2nd year) and Sushil kumar(CE 3rd year) presented beautiful lines on love and beauty. 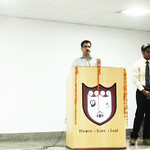 Lastly, Sandeep sir motivated the students to keep participating in such events and also focus on studies simultaneously. 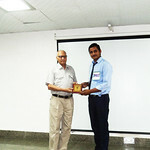 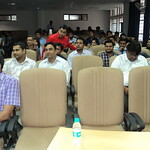 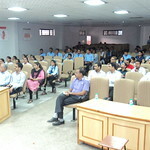 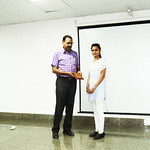 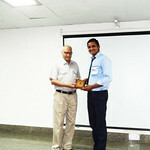 Prof. B.S.Tyagi(HOD CE) also addressed the students to polish their talents and showcase it in every event. 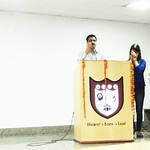 A vote of thanks was given by Dr. Vinky Sharma to all for their presence and in making the event a successful melodious journey.